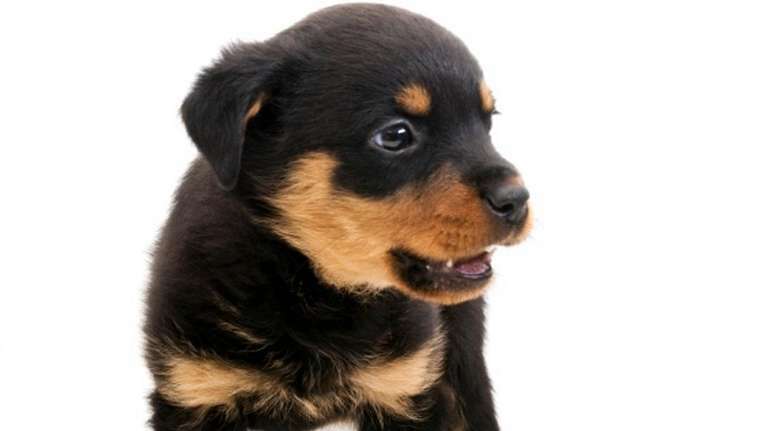 A small dog's fear leads to growling, but it doesn't have to. Q My Chihuahua is extremely protective of me. No one can touch me or come near me. I want to learn how to teach my dog not to be defensive . A With a small dog, overprotectiveness is mostly related to fear. Growling and baring their teeth is an attempt to control everything around them — and it often works. But sometimes, with small dogs, we accidentally reinforce this behavior. If a large dog growls, "people change their behavior and back up," says dog training expert Megan Stanley in Calgary, Canada. "With a small dog, people are more likely to giggle and continue approaching the dog, which only increases the dog's fear." So, the trick is not to command your dog to stop growling, but to change what's happening in his surroundings that triggers the behavior. First, get your dog comfortable around people. Ask visitors not to approach your dog and to wait until your dog comes to them. Ask visitors to sit down to reduce the chance any sudden movements will trigger the behavior. And, give visitors dog treats to toss to your dog, so he learns visitors means treats. The second step is avoiding the situations that trigger the behavior. Stanley says an example of this is when a dog is sitting on your lap and begins to growl as someone approaches. Don't try to change the dog's behavior at that point with a correction. Instead, "get up and move, so the dog is not left in a position to protect you," she says. So, don't hold your dog when company comes over and don't let your dog get in between you and a visitor. Whenever your dog is in between you and a visitor, he is going to feel the need to protect you. Ask your dog to sit instead, and then stand between the dog and the visitor, so he learns you don't need his help. If this feels like more than you can handle, or you aren't making progress, visit the Association of Professional Dog Trainers at www.apdt.com to find a local trainer who can help you. Q In response to a previous letter from Emma about her lethargic dog, Dorie, what about depression? Can't dogs get depressed? My border collie was treated with a short trial of anti-depressants and it was quite helpful. He is a rescue and very atypical of his breed; not energetic and intense, like they usually are. A Both dogs and cats can suffer from depression, which is usually the result of situational circumstances, like a death in the family, or changes to their living situations, like a move to a new home or kids leaving for college. Certainly, as a rescue dog, Dorie may be mourning her past life, but it's been eight months and most dogs would have warmed up to 13-year-old Emma by now. Some of the clinical signs of canine and feline depression include loss of appetite, lethargy and sleep disturbances, which also can be signs of other illnesses. Susan in Great River suggested Dorie might have heartworm since it is prevalent in South Carolina. Hopefully, Emma's family will find out what's wrong with Dorie soon. Lethargy is not normal in a cat or dog. 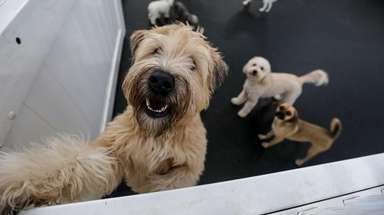 Q I have a 13-1/2 year old wheaten terrier. He is in failing health. The veterinarian told us he has severe arthritis in his back legs and has a large gingival mass in the left maxillary region. We have not had the mass biopsied because of his age. The reason I am writing to you is if I take his collar and leash off, he gets very aggressive when I put it on him again. Therefore, I have been leaving his leash on all the time. It seems worse at night. I think dementia is setting in because sometimes he just stares into space. I would appreciate your thoughts regarding Ollie. A I am sorry to hear about Ollie. When dogs with failing health display aggression toward their owners at this stage of life, chances are they are in pain. Your veterinarian can prescribe pain medication to help, but this solution may be short-lived, as the pain often breaks through again. It sounds like you are dealing with end-of-life issues, which is difficult for every pet parent. Talk with your veterinarian so you know all your options and can be prepared to help Ollie over the rainbow bridge when it's time.